Conference services facilitates conferences and special events at Evergreen, including room assignments, food services and special needs. Conferences held at the college must complement the educational, research, recruitment or service to the community objectives as defined in the mission statement of The Evergreen State College. Conference services provides a means by which the Evergreen State College makes a maximum use of its facilities, the expertise of its employees, and other resources. Educational and developmental programs shall be accessible to all citizens regardless of ethnic or national origin, religion, marital status, sexual preference, age, handicap or Vietnam era or disabled veteran status. Conference services is a totally self-supporting unit of The Evergreen State College. Administrative fees and charges for services are expected to cover costs of operations. Training and testing programs for professional enrichment by other educational institutions, government agencies or professional organizations. Conference services shall also provide support as appropriate for events and activities sponsored by academics, student activities, athletics, alumni association, housing services, or other divisions and organizations of The Evergreen State College, and The Evergreen State College foundation. Execute an agreement with all clients involved. Conference services shall write letters of agreement for clients to be signed by The Evergreen State College conferences manager, the vice president for finance and administration, and the client responsible for the financial obligations of each conference. handle financial responsibilities in cooperation with the controller's office. Meeting space is available throughout the college campus and reserved through space scheduling contingent upon campus priorities. The appropriate rental rates or facility use fee will apply and will include administrative costs. Housing residence hall accommodations are available to accepted conference groups as space permits once resident student needs are covered. Basic rates will be determined by housing staff with additional costs to cover conference services costs. Double and single rooms are available with or without linen. Participants are expected to abide by existing tenant policies of housing services. Food Service. Cafeteria and catered dining services are available and will be provided by the food service corporation (Northwest Food Services) under contract with The Evergreen State College. Other professional food operators will be allowed only with the permission of Northwest Food Services. All rates, menus and meal times will be set by Northwest Food Services, with consideration given to the conference's needs. An additional charge will be applied to cover the costs to conference services. Other support services may be available at rates set by areas of the college responsible for the services involved. Conference Services shall collect a deposit at the time the agreement is signed, a fifty percent payment on arrival, and the balance at the close of the conference. These funds will be distributed to the various areas of the college providing services and to Northwest Food Services in a timely manner. 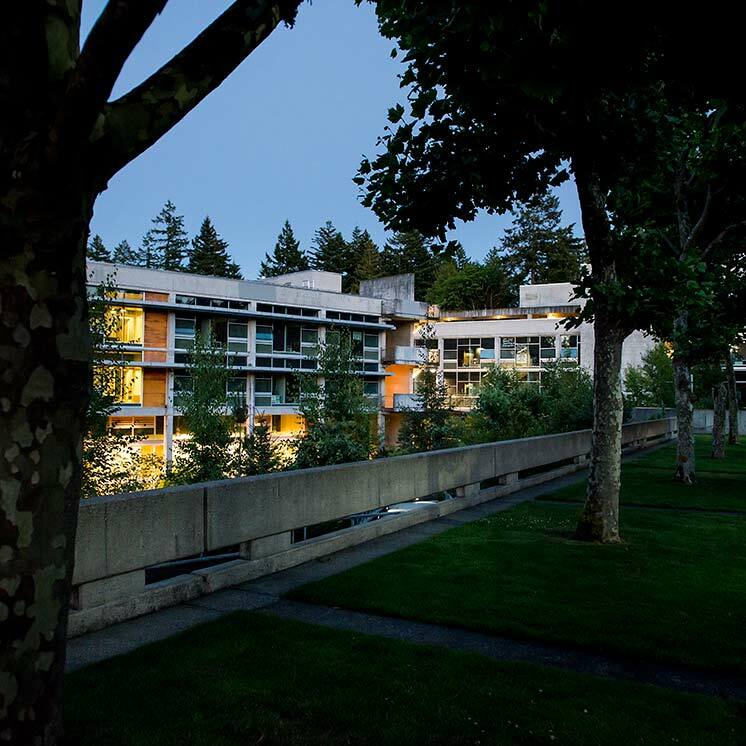 Other state agencies, state institutions of higher learning, local school districts and local municipal governments shall be eligible for a reduced scheduling fee for use of meeting space at The Evergreen State College. Support services, housing and meals for these groups shall be charges at the normal rates. Commitments for facilities and services may only be made after academic and related college needs have been met. All activities shall abide by the laws of the United States government, state of Washington, Thurston County, and policies of The Evergreen State College. Conference services staff will strive to maintain communications and work cooperatively with local and state wide tourism industry through membership in the Olympia-Lacey-Tumwater visitor convention bureau. Professional development and growth for the conference services staff will be encouraged by participation in related associations for higher education conference staff such as Association for College and University Housing Officials International and Association for Conference and Events Directors. Campus communication will be maintained to inform The Evergreen State College community of conference activities and opportunities. The conference services staff will strive to support and complement the mission of The Evergreen State College while offering clients high quality programs and comprehensive services which promote their objectives.